Assuming that such a retrieval would be done by trained professionals in a controlled environment without any pressures from fundamentalist corners, what is more valuable to the world: A funerary mask? Or the texts it is potentially made up of? 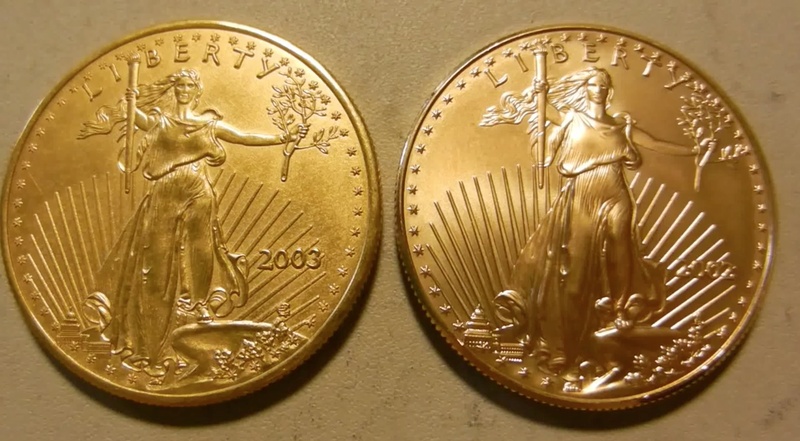 A fake bullion coin and a real one. I’ll leave it to you to figure it out. When looking at, for example, high quality counterfeits of expensive coins, I could be faced with a similar (albeit not identical) dilemma. 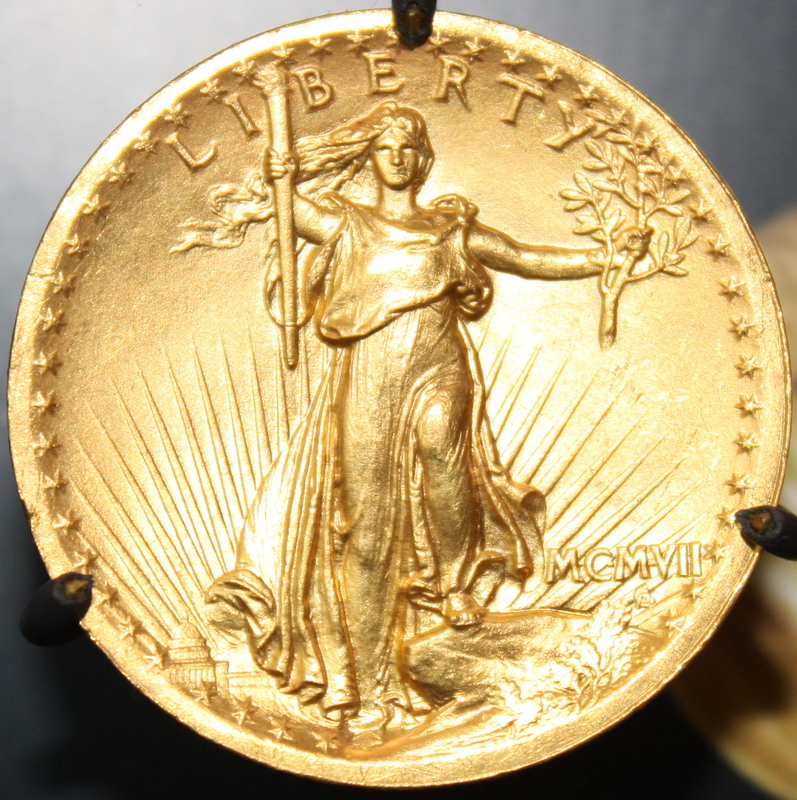 There are presently a glut of fake American Gold Eagles on the market which are made of thickly gold-plated tungsten. Some of them have such carefully made strikes that the only way to truly confirm if they’re fake (when you have a “hunch” and have tested it via other means) is to destroy them, mainly drill into their center and see if the gold goes all the way through. 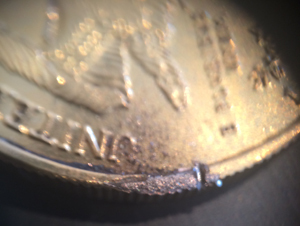 A destroyed edge revealing a tungsten core. Where Gold Eagles are relatively common (they’re a bullion coin currently minted) drilling one would destroy its premium (a few hundred dollars over the gold it’s made out of) and most of its collectibility. In this case, the question becomes “Is it worth it?” when there’s suspicion that it’s fake. 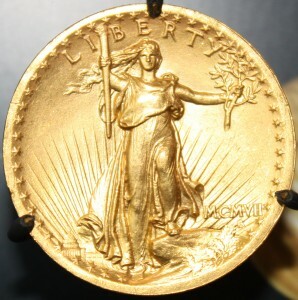 A picture of the 1907 “Ultra High Relief” St. Gaudens Double Eagle. A major rarity. The question’s weighting changes when we’re no longer looking at a common but valuable coin, but instead consider a numismatic rarity of which there are only a small number of known examples. Do we chance destroying it? Not as readily. It seems to be our duty to exercise every possible non-destructive test first and then, and only then, if there is still suspicion, we try other options. 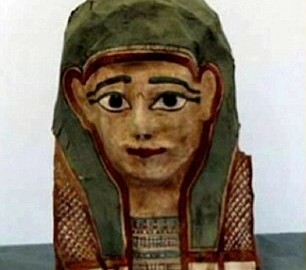 The quandry truly is where that threshold lies, and with egyptian funerary masks, how its commonality or rarity influences the risk of disassembling it over the prospective gains to the corpus of ancient texts. 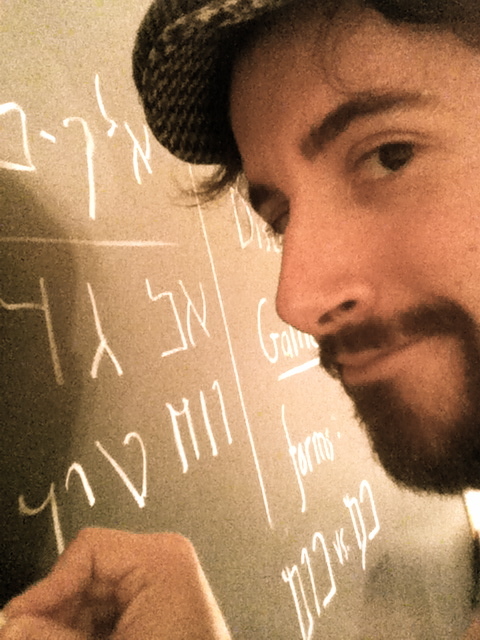 If it’s one of a number of well-known examples that are well documented or if it’s a singularly unique example potentially have weight. Sadly, there is no “right” answer so long as chance plays a part.